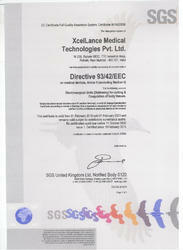 XcelLance Medical Technologies Pvt. Ltd., with its CE, ISO 9001:2008 and ISO 13485:2003 Certifications, is known to be one of the finest manufacturers, suppliers and exporters of a commendable range of Medical Equipment, ever since its inception in the year 2008. This unmatched and diverse range is made up of products like Vessel Sealer Units, Vessel Sealer and Electrosurgical Vessel Sealer, having a high preference in the market. The offered products are manufactured in a highly sterilized environment, utilizing the finest raw materials and modern machines, as per the FDA set norms. Owing to this, quality of these products is highly standardized. Further, the offered products are priced at the most reasonable rate possible. The state-of-the-art infrastructure, which we have, has been laced with machinery and equipment, required for attainment of a number of the firm’s predefined targets. To stay ahead of our competitors, the facility goes through regular up gradation. 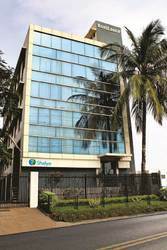 In order to attain better and finer management of our operations, we have parted our facility into several units. These units, lead by skilled professionals, work in a united, dedicated and synchronized manner to boost the firm’s production capacity and standardize the quality of the products offered. In addition, our following of the FDA guidelines and work ethics, has helped us generate a huge client base comprising of reputed names like All India Institute of Medical Sciences, Escorts Hospitals and Breach Candy Hospital. We are exporting our products in all over the world. Under the skilled and able leadership and governance of our director Mr. Pradeep Narkhede, we have seen and experienced unimaginable heights of success. His willingness to work, managerial skills, ability to understand the market changes and make commendable decisions, makes him the perfect leader. Further, he has taken special steps to provide maximum satisfaction to the employees. 2011-12 Rs. 1 - 2 Crore Approx. 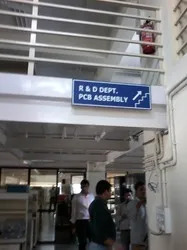 We have the developing R & D setup equipped with advance range of Test and Measuring instruments for achievement of best quality and reliability in our products. 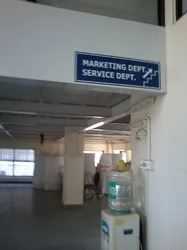 Our Works is located at well established Industrial Area at Rabale MIDC in in Navi Mumbai, India Metropolis. We are dealing with reputed clients. To provide solutions to advanced range of equipment in the field of surgery. Our motto is to achieve high degree of precision and sophistication by adopting the latest Globally accepted technologies. 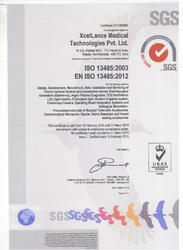 ISO 13485 : 2003 EN ISO 13485 : 2012 (Valid till:Feb 31st, 2019). At XcelLance Medical Technologies Pvt. Ltd., we are proud to have a highly dedicated team of professionals, which helps us in the attainment of the firm’s goals and objectives. Their recruitment is done, based on the employee’s ability and willingness to work. For the purpose of better management of these professionals, they have been sorted into several highly operational units. The division is done based on the client’s skills and proficiency in specific vocation. Further, the units work hard to maximize the firm’s productivity and minimize the cost incurred. We have Strong & Satisfied Costumer Base of over 3000 Hospital across India. We are considered in the market to be one of the finest manufacturers, exporters and suppliers of this highly commendable range of Electrosurgical Products. Manufacturing of this is done as per the set industry norms, in a hygienic environment, using the finest raw materials and modern machines. Owing to this, its effectiveness and service life is widely praised. For quality maintenance, the products post manufacturing, are set to our team of quality professionals. These professionals with high precision, eliminates defects. In addition, the products marked at the most reasonable rate, packed in a commendable manner and delivered on a timely basis, has a high preference in the market.